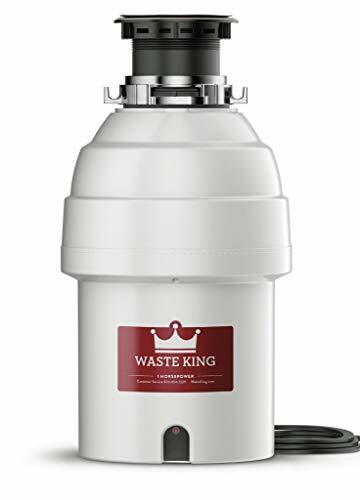 A working garbage disposal is one of those things we tend to take for granted in the modern era. We rely on garbage disposals – and when they stop working, it’s a hassle to replace them. I recently had to deal with that hassle when my old garbage disposal kicked the bucket. My old disposal lasted a long time. It was made by InSinkErator, so it seemed like a logical choice to try another one of their products. I heard a lot of great things about the Badger 5XP, so I decided to give it a try. 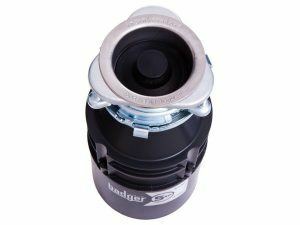 Here’s my Badger 5XP Garbage Disposal Review. 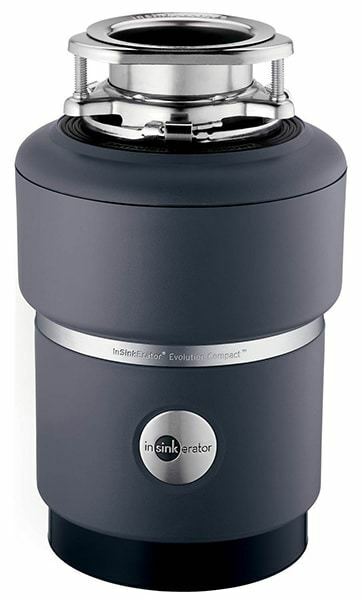 The Badger 5XP Garbage Disposal is made by InSinkErator, a very well-known brand with a good reputation. It’s because of the company’s reputation that I chose this model over some that were less expensive. I always try to buy products that are made in the United States and that’s another big selling point of the Badger 5XP. That means it adheres to US manufacturing standards – a plus in these days when it seems like everything is made overseas with no quality control. You can opt to install this model yourself or pay for professional installation. My roomate and I installed it and didn’t have a problem – but we’re both pretty well-versed in household repairs. If you’re not, you may want to opt to pay for a pro to do it, so you can be sure it’s done properly. You might think that all garbage disposals are created equal, but that’s not the case. Anyone who’s ever struggled with a low-quality disposal (or a malfunctioning one like the one I just got rid of) knows what I mean. Here are the things that I observed with the Badger 5XP. First, as I said the installation is easy. The instructions are clear. Our old disposal was from InSinkErator too. I know from reading reviews from other people that the installation might not be so easy if you’re changing manufacturers – but considering that the installation may cost more than the machine itself, I think it’s worth at least trying to do it yourself. Now, let’s talk about how this machine works. If you’re accustomed to hearing people talk about horsepower and cars, ¾ horsepower might not sound like much. But, it’s more than enough for a garbage disposal. There are a lot of models that have ½ HP; this one has more than that. I found that it could handle anything I put into it. I wouldn’t recommend trying this, but I know someone who ground up a plastic form with the Badger 5XP! Of course, as is the case with any garbage disposal, you’ll want to make sure to run some water before putting food into it. If you don’t, you’ll end up with a build-up of food there. Not only will that eventually be disgusting and smelly, but you might end up with a fruit fly colony in your sink. Running water before you turn the disposal on and after you turn it off will eliminate that problem. Toward the end, my old disposal was loud – so loud that my roomate and I couldn’t have a conversation when it was on. This new one is much quieter. I know there are more expensive models that claim to have super-quiet engines, but this one is just fine for me. It’s important to note that if you have a dishwasher, you’ll need to make sure to remove the little plastic piece in the dishwasher connector before you install it. We used a screwdriver and a hammer to do it. The ¾ HP engine is powerful enough to handle just about everything, even stringy foods like celery and herb stems are handled with ease. That’s important because those things won’t accumulate and stink up your sink. The installation is very easy and intuitive, especially if you’re replacing one InSinkErator product with another the way I was. 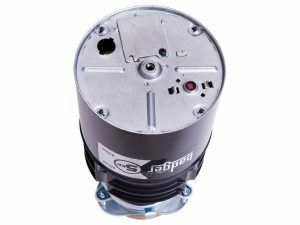 The engine on this product is reasonably quiet considering its power – it’s not the quietest model on the market, but it’s a manageable level of noise. This machine is a bit on the heavy side. People who don’t have a lot of upper body strength may need help (or need to use a jack) to hold it up during installation. For reference, the Badger 5XP weighs 15 pounds. If you want a whisper-quiet motor, this machine probably isn’t for you. It’s not crazy loud, but you’ll definitely notice when it’s turned on. Galvanized steel is sturdy, but not as sturdy and reliable as stainless steel. If you’re worried about rust, you may want to look for a stainless-steel alternative. Overall, I think that the pros outweigh the cons here. I was happy with my old InSinkErator garbage disposal and trying the Badger 5XP was a no-brainer because of that. 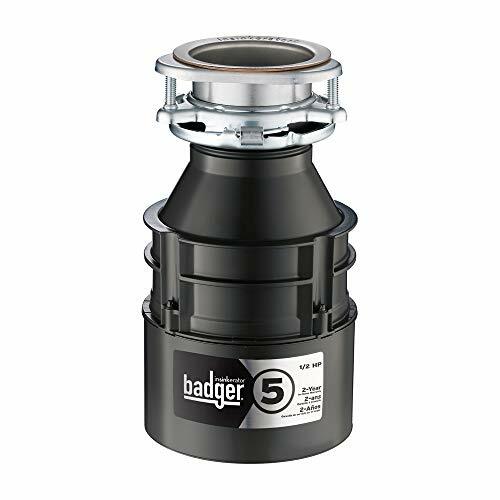 If you’re looking for a new garbage disposal to replace your old one, I recommend the Badger 5XP Garbage Disposal. For me, the thing that sets this unit apart is the ¾ horsepower engine. I don’t want to have to worry about partially-ground food getting stuck in my disposal, and the powerful engine here virtually guarantees that won’t happen. I also like InSinkErator’s in-home warranty.